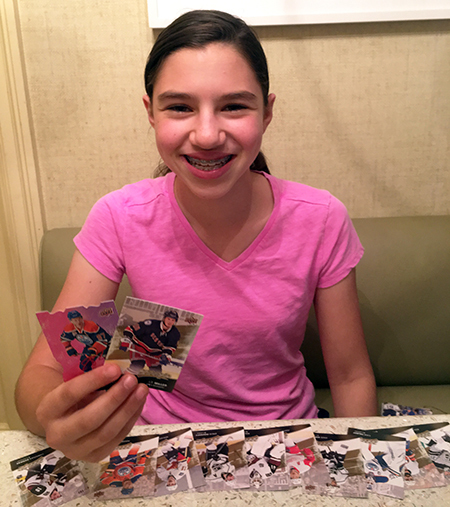 “The thrill of opening a brand new box of hockey trading cards is like nothing else. As I tore open each MVP pack, I was filled with excitement and anticipation for not only what player I might receive (hoping for my favorite New York Rangers players), but also about which insert cards I might get. I loved opening each pack because of the surprise that comes when you carefully go through the cards after opening the pack. 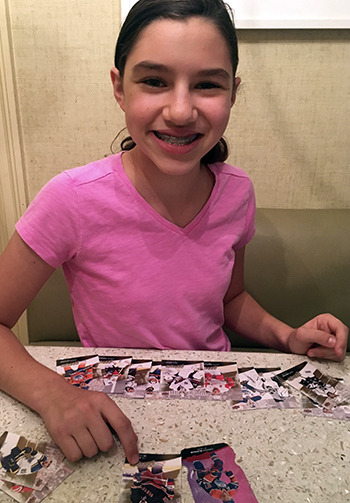 “One of the most exciting things about the new MVP set is that it is one of the first products with new rookie cards featuring players like Charlie McAvoy, Evgeny Svechnikov, Brock Boeser, Josh Ho-Sang, Clayton Keller and Alexander Nylander. What I like most about the MVP cards is that they have a smooth surface on the front and back, which makes it easy for the cards to slip into a plastic protector for safekeeping. 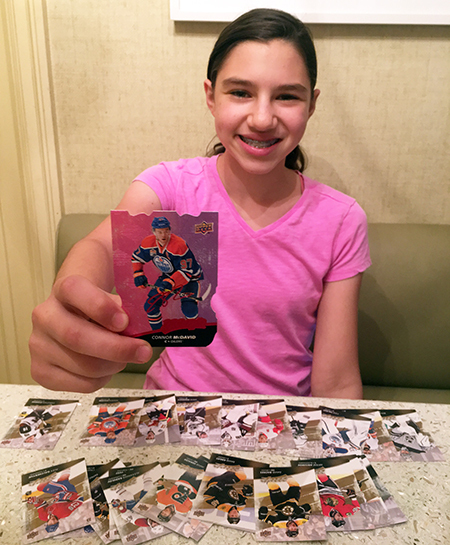 Upper Deck’s 2017-18 NHL® MVP is available now in stores and we encourage other younger fans to check out a pack or two to see what they think! 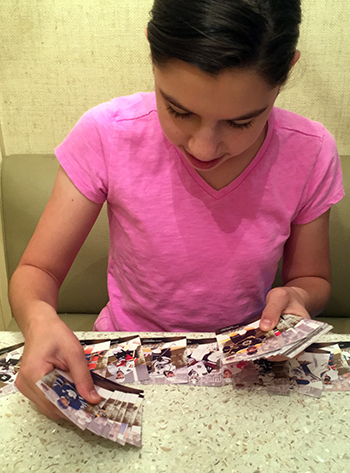 Sabrina Solomon is an 12-year-old hockey fan currently in the sixth grade. She is passionate about helping younger fans engage more with the sport she loves and hopefully one day working with the National Hockey League.